There are a number of demands that solar system batteries have to address in order to make them viable for residential use, such as heavy cycling, irregular recharging, and unstable grid energy. Tested and proven globally for decades, deep cycle, lead acid-batteries have long been used in renewable energy and are relied upon in off-grid applications. Typically, these batteries cost half the price of lithium-ion. Commonly, the AGMs batteries that are accessible in the marketplace are not built for deep cycling but are for standby applications or dual-purpose such as emergency back-ups only. However, there are new AGMs designed for deep cycle with better performance and total energy output. Compared to gel batteries, these new AGMs are better choices for renewable energy applications. It is hard to gauge when to change these batteries, as battery life depends on its installation set-up and maintenance. The battery enclosure needs to be ventilated to prevent hydrogen gases from accumulating to dangerous levels. The flooded lead-acid battery must be regularly replaced because the electrolytes that submerge the battery plates evaporate when charged. AGM and gel batteries, on the other hand, do not need much maintenance as they are recombinant. They alter hydrogen and oxygen internally into water. In addition, they can be applied in any position except upside down since they have no free acid inside. 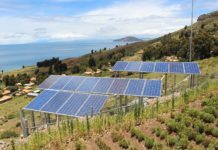 Another benefit is the ability to easily set-up the batteries considering that solar applications are often located at hard-to-reach areas. Lithium ion batteries have three types namely: pouches, cylindrical, and prismatic. According to a Deutsche bank analyst, they are estimated to cost $500-$950/kWh because it needs a battery management system. A battery management system helps prevent excessive charging and discharging as it allows you to monitor temperature and voltage of each cell. However, several manufacturers have noted that if the batteries are sized correctly, they can lessen the cost of some peripheral devices. Compared to lead-acid, lithium-ion batteries provide more cycles in its lifetime. Moreover, it has high discharge/charge efficiencies, which help gather more energy for solar installations. It also loses less capacity when it is not used. These batteries are easy to install and replace since they are lightweight and self-contained. They can be mounted on a wall indoors or outdoors, and because they are solid they do not require maintenance or refills. The Vanadium Redox Flow battery is considered to be the most developed technology and is emerging as another storage option. 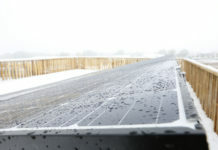 It is estimated to reduce cost from $300-$500/kWh. There are developers who discovered several ways to increase power density to further lower the cost while there are integrated power circuits that manage the discharging and charging process to provide an economical cost. However, this takes up installation space because it requires sensors, pumps, secondary containment vessels, and control units. These batteries last longer than others since it does not deteriorate over time. The battery size can also be increased by adding more electrolyte. It also has no cycling limitation therefore charging and discharging does not affect their lifespan. In selecting the right solar battery, a sizing calculator can aid in planning your power needs. You must also take into account the price, capacity, voltage, and cycle life of the battery. Low prices are attractive but must not compromise its quality. Better capacity means more energy can be stored inside the battery. The bank voltage should match the system requirements and most importantly, one should consider how many charge/discharge cycles the battery can deliver before it drops to a specified percentage of rated capacity. 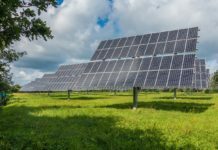 Working on your own solar project? Tell us all about it in the comments!